Lately, specialists, nutritionists say more about the usefulness of eating fresh cocoa beans having beneficial effects on the cardiovascular, immune and other systems of the human body. But, unfortunately, coming to the realization cocoa are subjected to heat treatment, causing a substantial part of its life-giving properties are simply lost. But where to get fresh cocoa beans? They can be grown at home. Fill a pot for houseplants ground and giving it a good vzryhlite. Lower the grain of cocoa beans in warm water and leave it there for a day. A day make in prepared soil deepening (about one inch), sprinkle with water and place it in the divot of the grain, and the top cover with earth. Pot planted a seed position in the room: it should not be exposed to direct sunlight. Besides, cocoa does not like drafts and proximity to the batteries of a Central heating system. 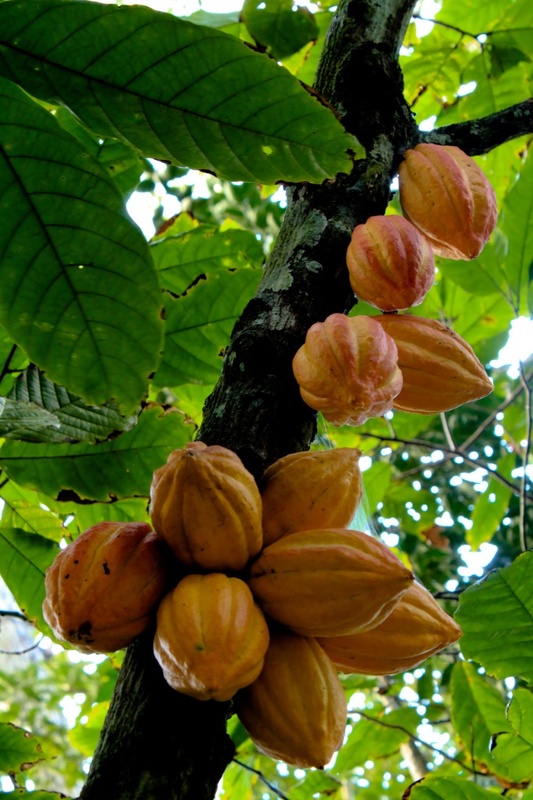 Remember that in natural conditions cocoa growing in partial shade, i.e. under the canopy of huge trees covering the access to the light. Ensure the plant is stable a high temperature (25 degrees) and high humidity (you can next to him to install a humidifier), and already just two weeks out of the grain appears a little sprout. Eventually a young red-orange leaves of the chocolate tree will gain a dark green color on the plant appears reddish and white flowers. So, it's time to pollinate the plant. Since cocoa grows in the home, spend it artificial pollination: to do that, using special sticks, transfer pollen from the stamens to the pistil. Water the plant with lukewarm water (minimum temperature of 20 degrees), lime. Not too overdo it with watering the plants (the roots of cocoa needs to be moistened only slightly), because stagnant water will affect the root system. In the period from March to September, once a month, fertilize the plant with organic fertilizers. Spray cocoa with special solutions preventing the possibility of Contracting viral and fungal diseases. Don't overdo the hydration of the leaves of the chocolate tree: the leaves can be formed mold, the plant will die. To prevent stagnant water in a pot, under a layer of humus with peat sprinkle sand.